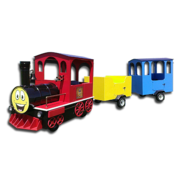 Do You Also Offer Party Rentals That Appeal to Children? 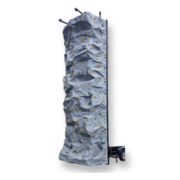 Yes, we offer rock wall rentals, trackless trains, toxic meltdown and a large variety of inflatable rentals. 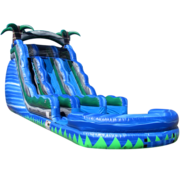 Some of our most popular units consist of moonwalks and large inflatable water slides. 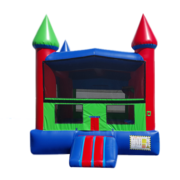 When choosing inflatable party rentals in Savannah, it's important to book at least one month in advance to make sure you get the best selection of jumpy houses that fit your needs. First, you're going to want to decide if you are having your event at a party venue, home, office or at a local park. If you are considering having your event at a park it's a great ideal to make sure you check the local Savannah Parks and Regualtions website before you book online. It's also extremely important to make sure they provide running water and electricity. You also want to go over all your plans with them prior to reserving from us. Some parks are more strict than others, so attempt to be detailed as possible to ensure your event is a smooth one. As for other venues, you can count on them asking most of the questions. If you need ideas feel free to reach out to us directly. Our owner has great relationships with most of the party planners and venue managers in Savannah and it's surrounding areas. 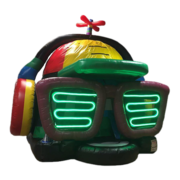 Lastly, you are going to want to browse through our inventory of party rentals to decide what will be best for your guest and the venue you choose.  After you find the rentals that fit the bill, add them to your cart and proceed with the check out process online. 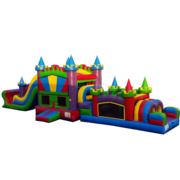 Once you have completed the check out process with the party rentals of your choosing, our party rental software will give you an option to either check out online or to request an email quote. If you quote is over 1,000 dollars be sure to call us for a possible free upgrade and some discounting might apply. What can I expect after I make my reservation? You can expect our top-notch crew to arrive on-time for your delivery. Our customer service is second to none, so if you have questions before, during or after your event, please reach out to us. 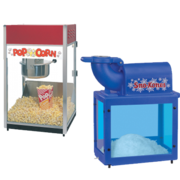 Why Choose CJ'S Event Rentals for Party Rentals in Savannah, GA? 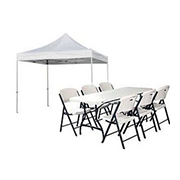 We've been one of the best choices for party rentals in the City of Savannah, GA for years. Regardless of where you're located, rest assured that CJ's has catered in your area before. From The Landings at Skidaway Island, Isle of Hope, Downtown West Jones Street, to Habersham Woods and Ardsley Park, we've helped out some epic events! Parties are more than just a group of people! Throwing the right party is about having the right people, right place, at the right time. 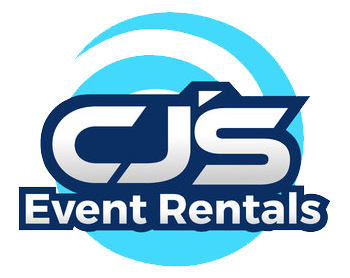 When you hire CJ's Event Rentals, you're getting a plan that goes far beyond the average "get together." In fact, you're getting a full-blown party delivered! We are not a fly-by-night company that rents worn out party rentals from a dusty storage unit. Our commitment to quality and safety exceeds industry standards by a large margin. On top of being fully licensed and insured, our employees are thoroughly vetted, experienced, and expertly trained. 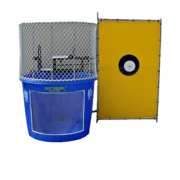 Our entire inventory of party rentals is meticulously cleaned, inspected, and sanitized before and after each use. We are in business to build long-lasting client relationships and a have worked hard make a reputation that reflects that. Your kid's birthday happens every year. Unfortunately, not all of them are as memorable as others. We are here to fix that! 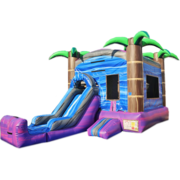 CJ's bounce house and water slide rentals are an absolute hit for children birthday parties. Who could forget a 75' inflatable obstacle course? Corporate events have significantly changed in the past few years. Some of our most extravagant parties have been corporate events that take place all over. We've put together huge setups at Savannah indoor venues, golf clubs, public parks, and even street parties. 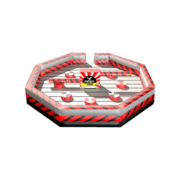 These type of events usually come with our mechanical rentals and carnival style games, casion equipment, trackless train rides, rock wall, and our epic mechanical bulls. You name it, and we can make it happen. 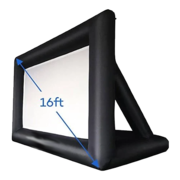 Most of these types of units come equipped with an operator to handle the use and safety for all the attendees! Are you tying the knot soon? Use our party rentals to turn crank your reception up a notch. We know how important this day is for you and your loved ones, so it's best to schedule a phone consultation to discuss the details with us so we can customize your experience to best fits your needs. Thanks again for considering us as privder for party rentals in Savannah, GA.